This guide provides tutorials for the FOUR major aspects of Avid's Pro Tools. As an added bonus, you will receive the original Pro Tools audio session and audio files to practice on! “Learning Pro Tools can be a daunting task and a lot of the books out there are hundreds of pages long which makes it hard to learn just what you need. This book took me through everything I need to know to get started with Pro Tools and I was able to read through it in one sitting. 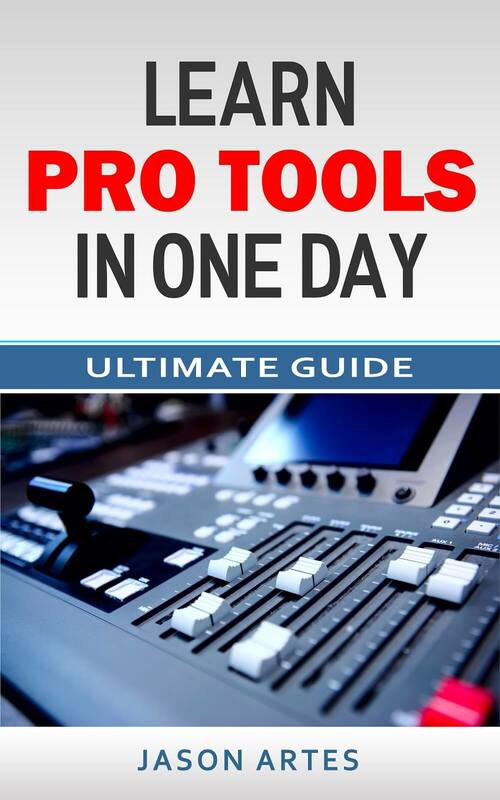 This is the best guide out there and by far the easiest to understand.."
“Finally, Pro Tools made simple!" This book was so easy to understand that I was working in Pro Tools and navigating like a pro after reading it. Can't believe it took so long to find this book!" “If you can only pick 1 Pro Tools guide, this is the one." “Not only did this guide get me started in Pro Tools, but it came with some sample MIDI files so I didn't have to hunt down my own to get started. You can spend hours watching videos and fumbling your way through Pro Tools or you can drop a fiver on this book and get up and running in less than 30 minutes. Your Time is Precious. Stop Wasting It! I was in your shoes. I was trying to learn Pro Tools and felt frustrated and lost. I watched Youtube videos but they only showed one feature or only walked me through how to perform one task. I created this guide to help all the Pro Tools newbies out there get started quickly by making everything easy to understand and simple to implement. I've worked in the audio industry for years and after a while you start to take everything you've learned for granted. I still remember the first time I tried to use Pro Tools and felt completely lost. Pro Tools can be really confusing for beginners which is why I created this book. I wanted to make it easy to get started and help everyone out there who felt as overwhelmed as I did when I opened Pro Tools for the first time. You are fully protected by our 100% Satisfaction-Guarantee. If you aren't able to get a jump start in Pro Tools right away just let us know and we'll send you a prompt refund. I've never used Pro Tools. Will I understand this book? Yes! This book was made for beginners. You might have to Google a few terms but we cover all the basics to get you going in Pro Tools. Does it come with any additional files? Yes, your guide comes with MIDI files to get you started. What if I can't figure it out? This book is made for beginners but if you aren't happy with it for any reason we'll refund your money right away. If you have any other questions you can email me directly at admin@protoolsproduction.com and I'd be happy to help you.